Deviating a little from my usual route this morning, I saw something that I think is kind of great on Main Street and Westminster. 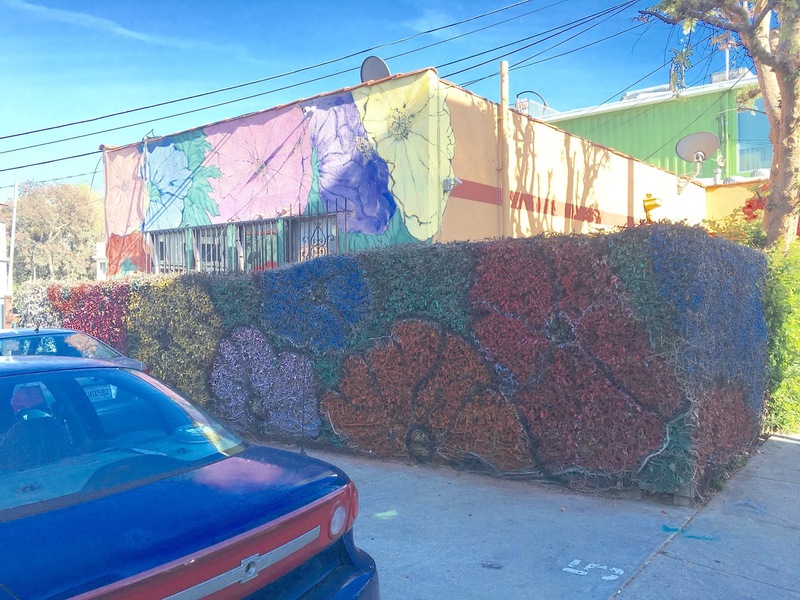 The floral-painted building on the corner that houses a production company (Concrete Images/Durable Goods), went out and painted their hedge to match! I'm not sure how great this is for the foliage, I'm not a botanist, but I can tell you that it is awesome and fun, and sort of makes you feel like in Alice In Wonderland when they all go out and paint the roses, just for fun. 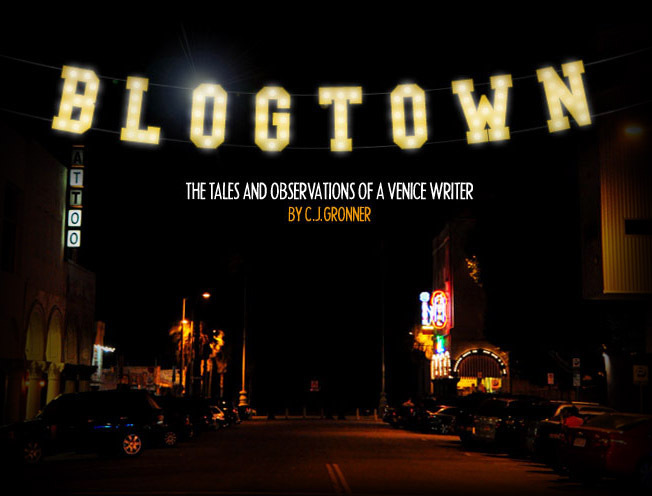 It also reminded me of a quote from that book/movie that fits for the parts and people that I love the most in Venice ... "You're entirely bonkers. But I'll tell you a secret. All the best people are." Thank you for this entirely bonkers bush, folks. It made my day.